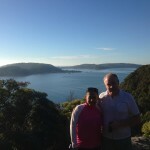 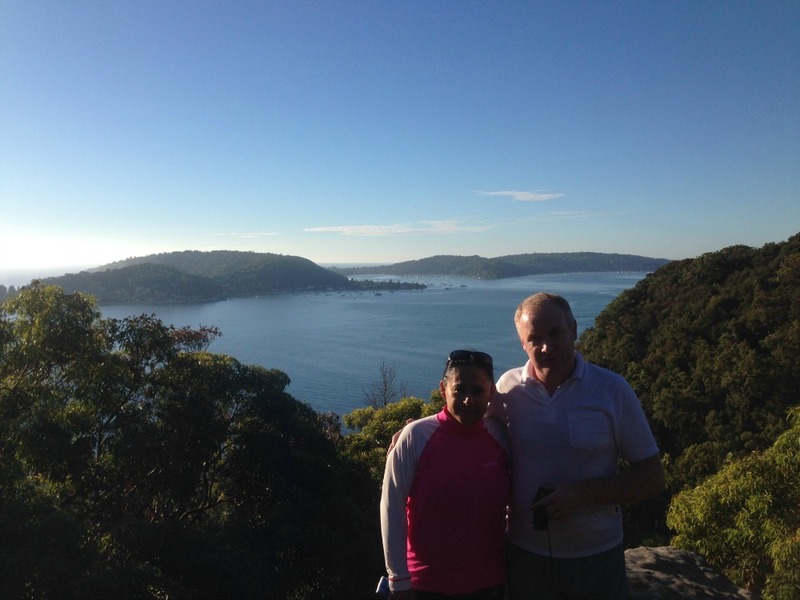 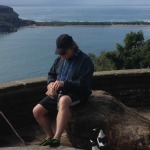 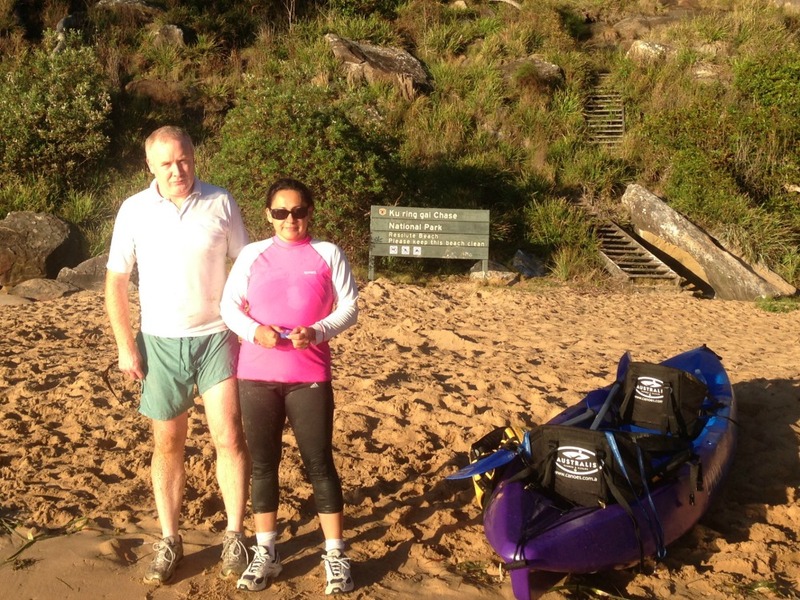 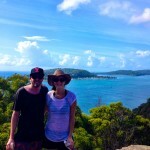 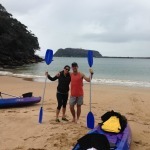 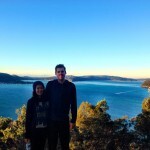 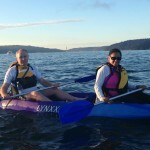 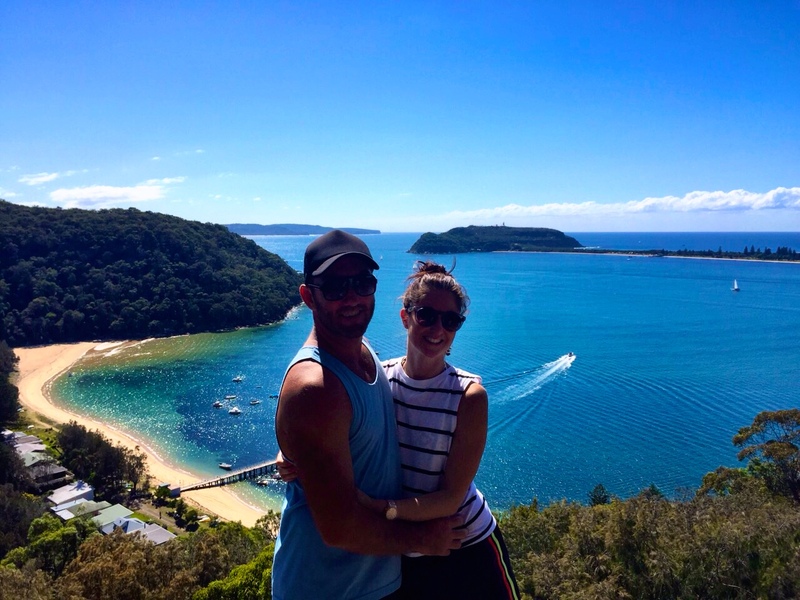 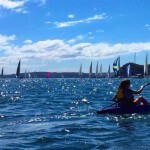 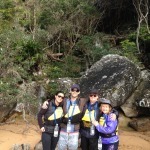 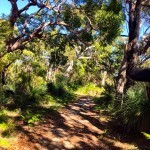 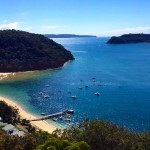 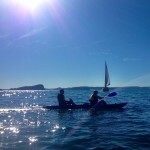 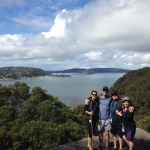 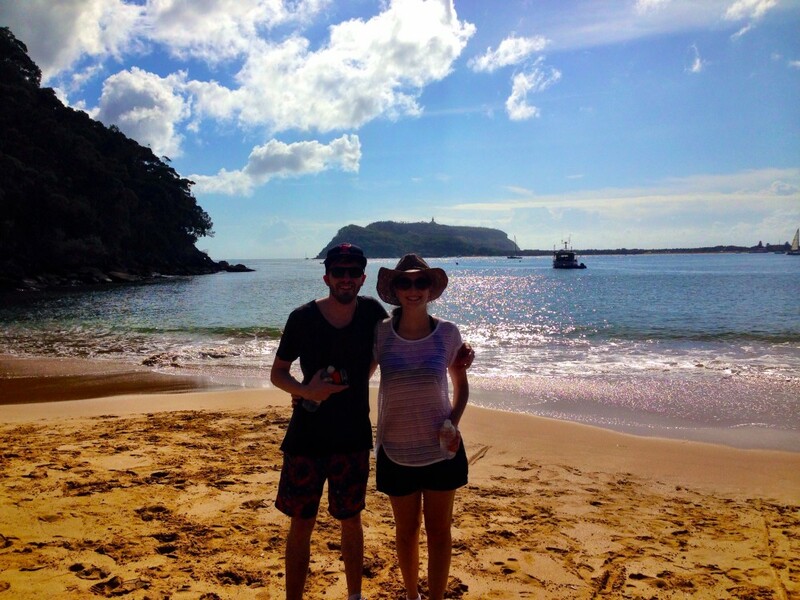 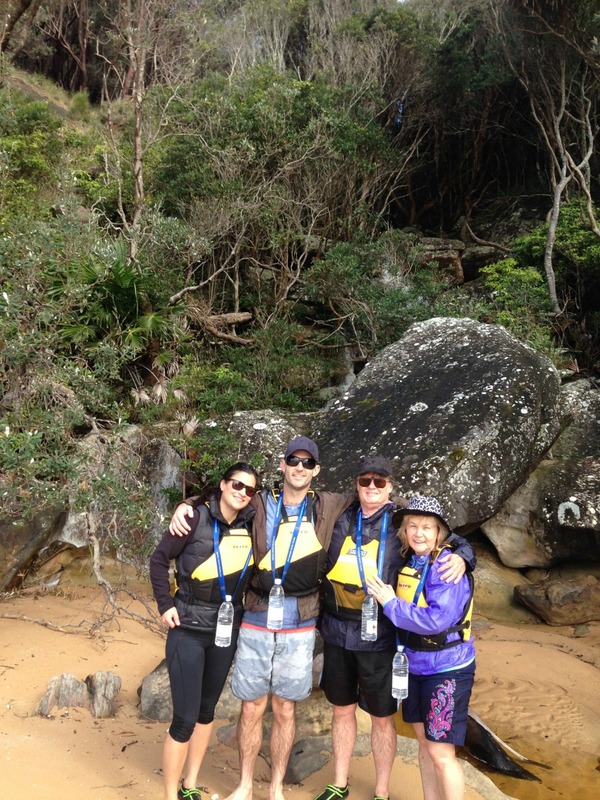 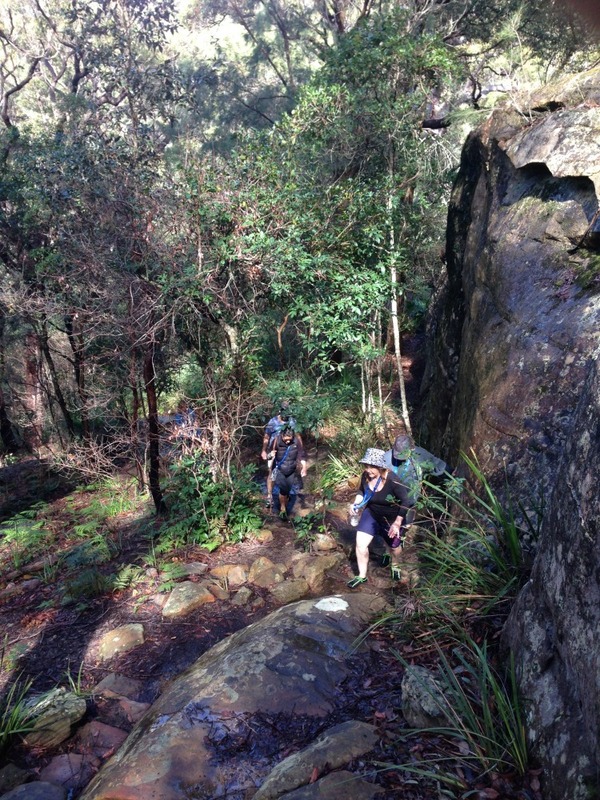 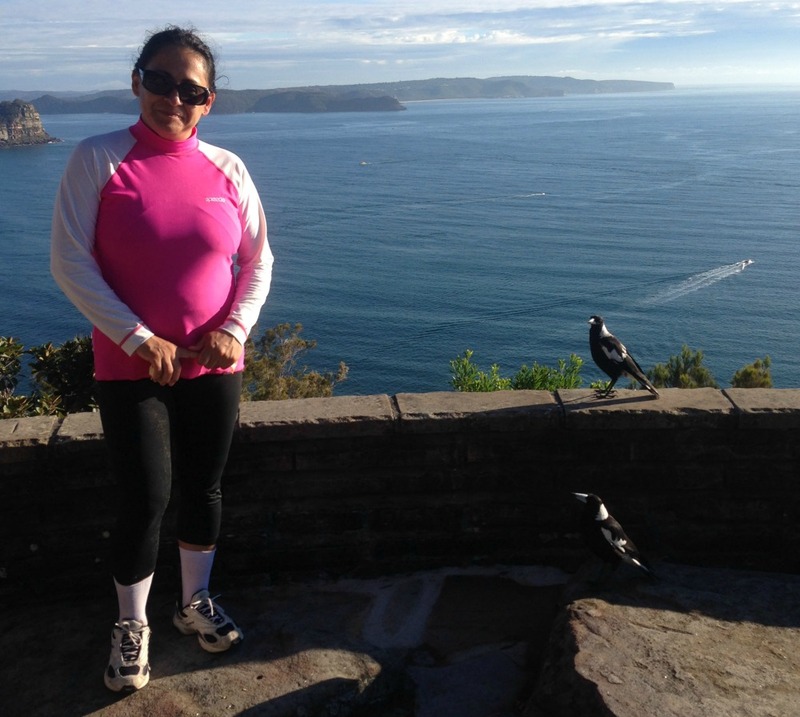 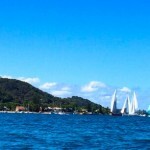 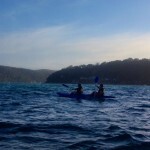 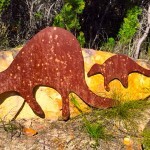 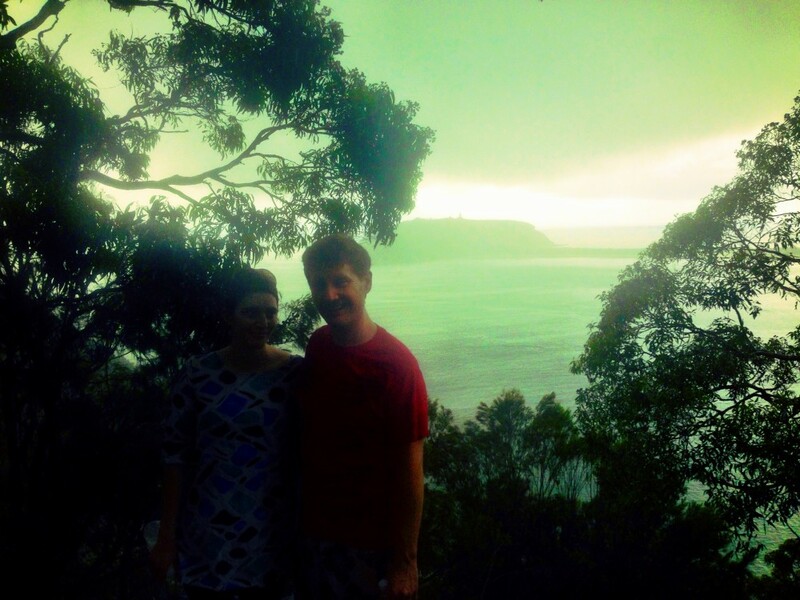 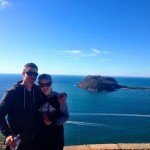 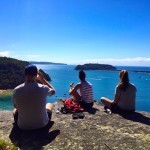 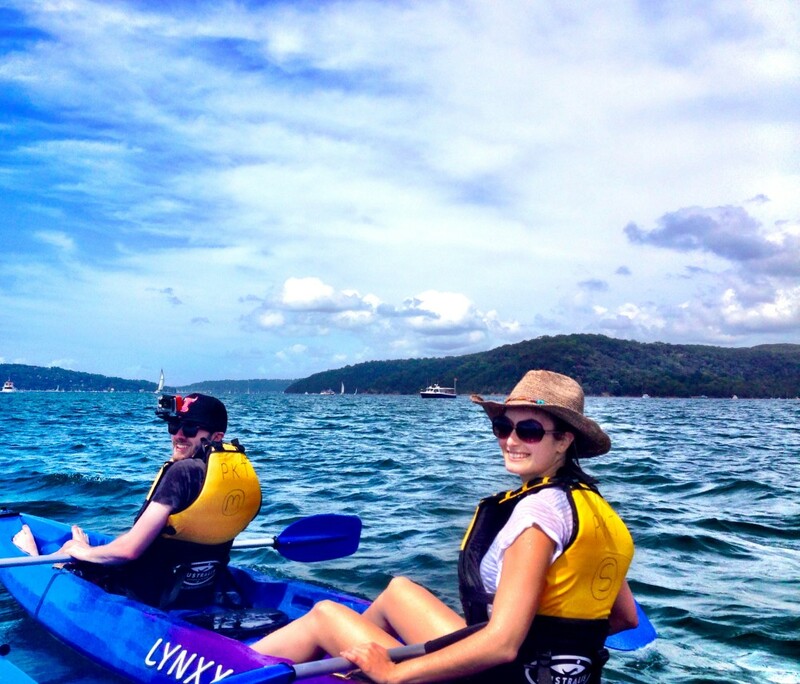 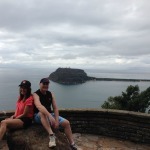 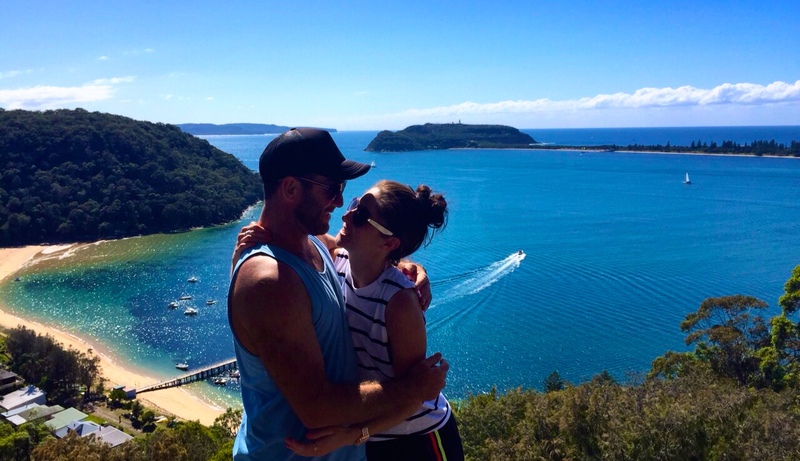 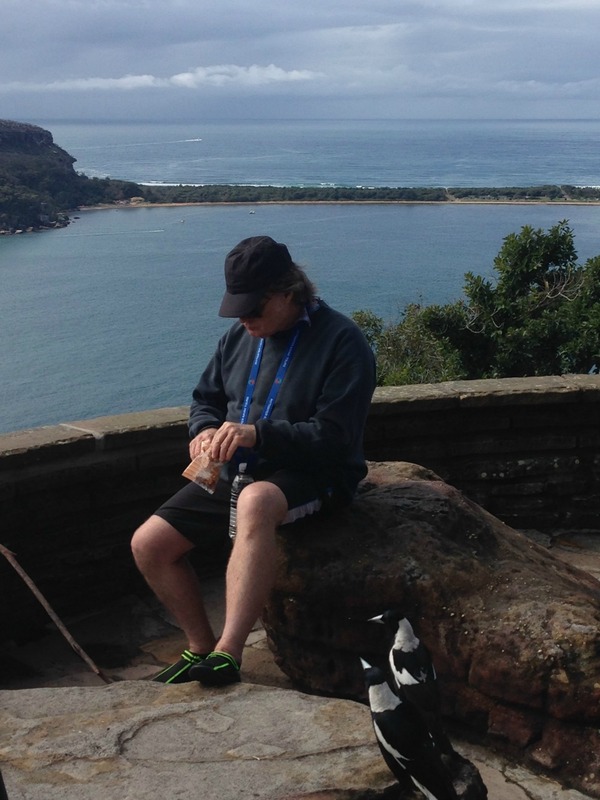 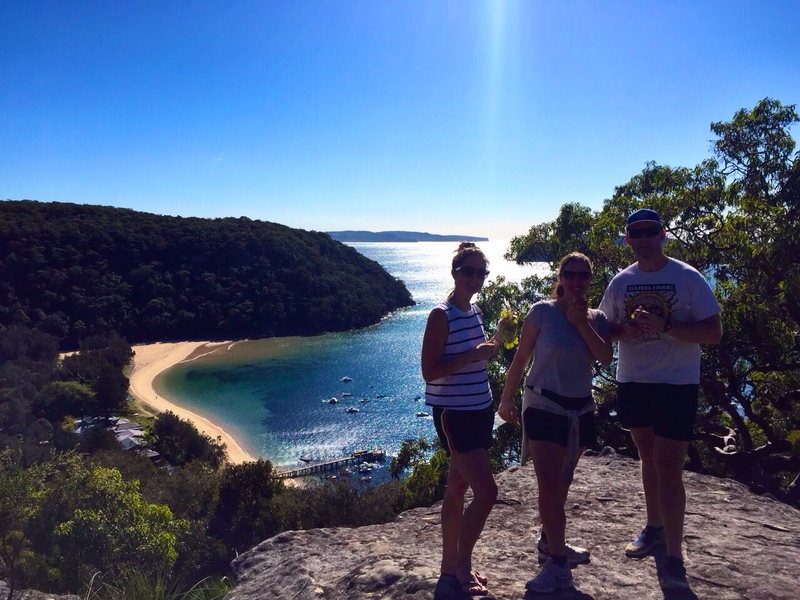 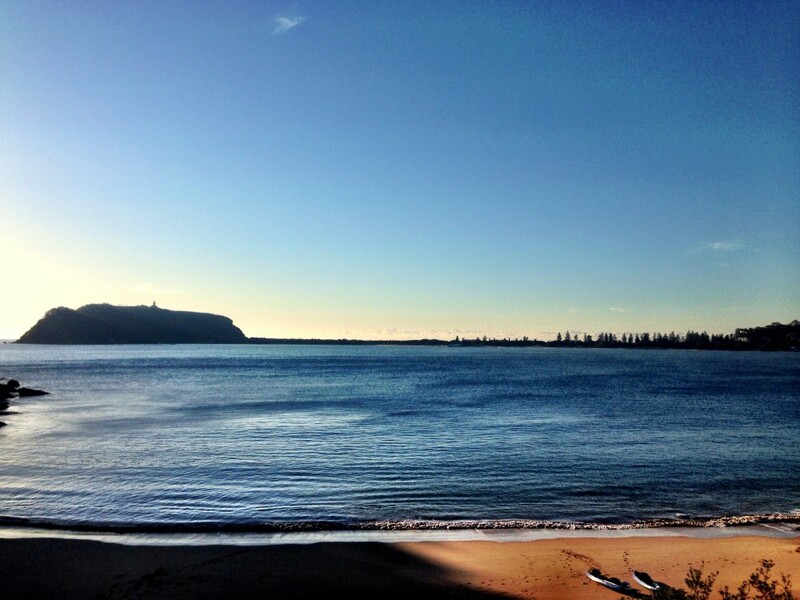 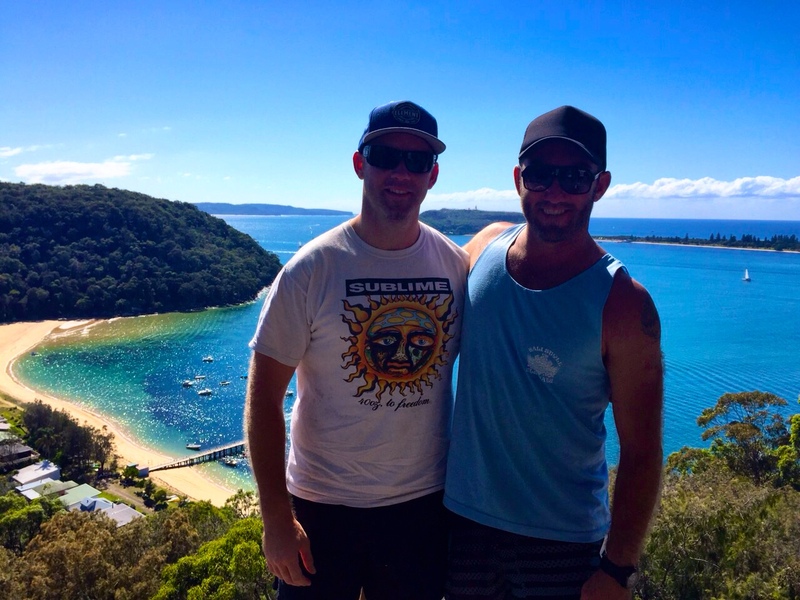 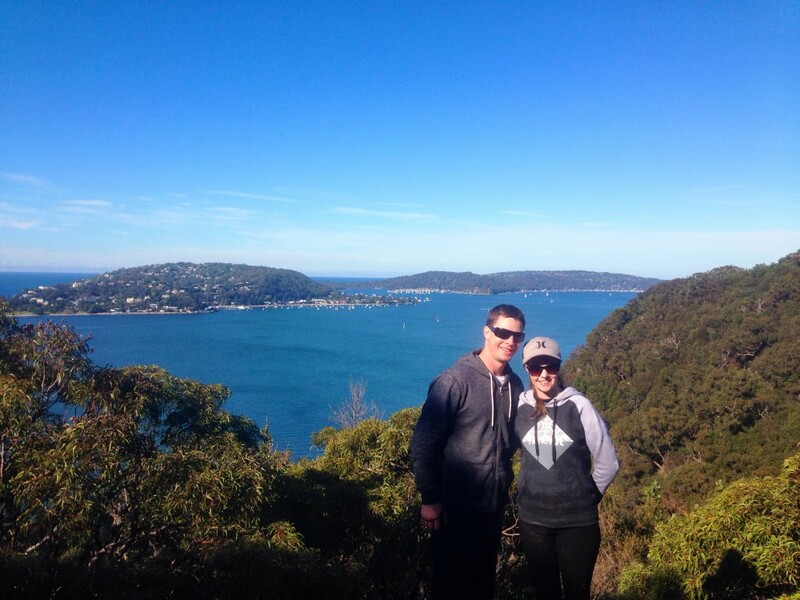 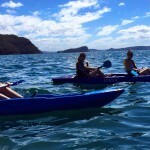 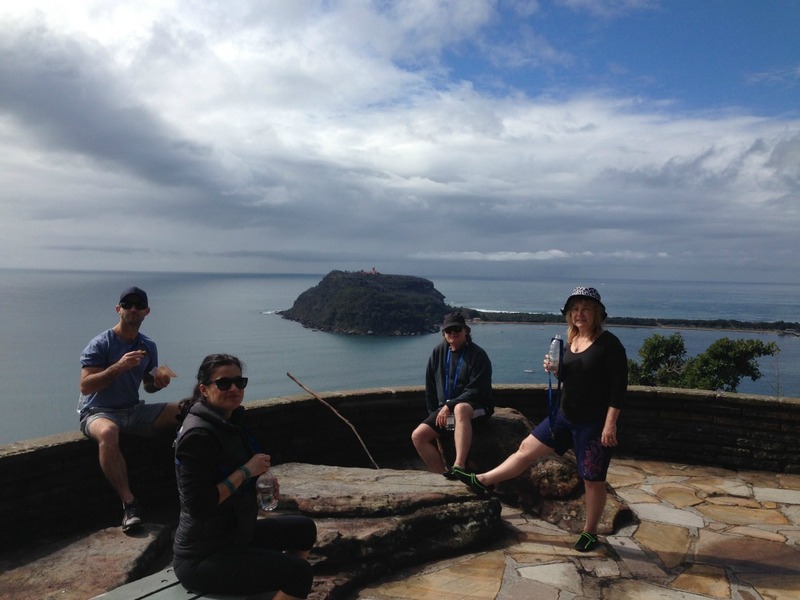 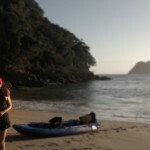 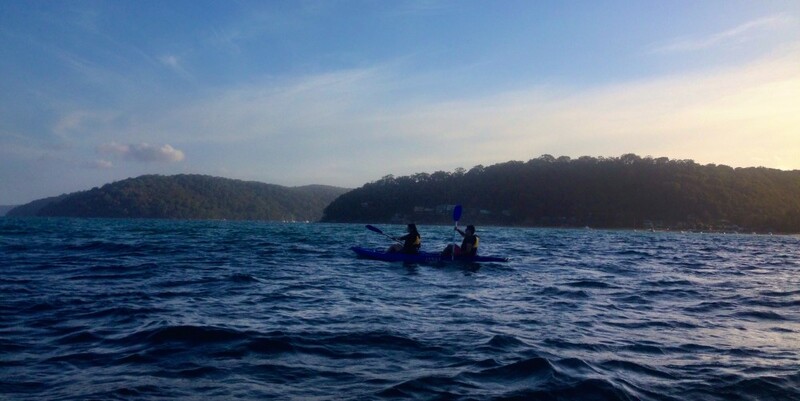 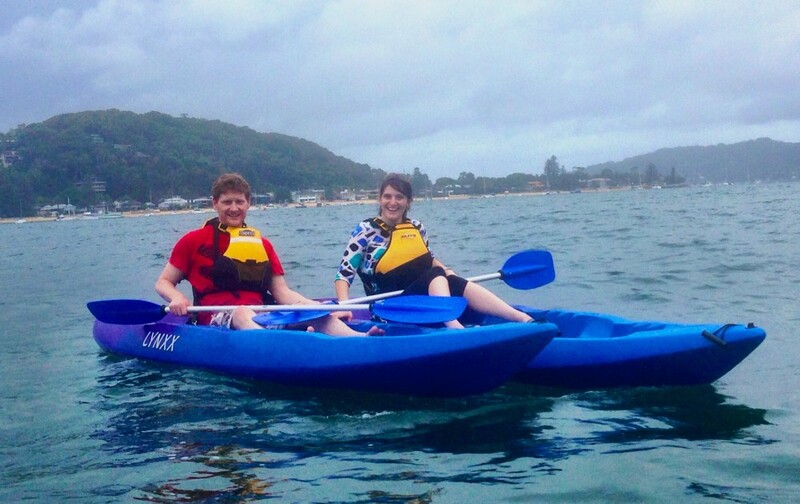 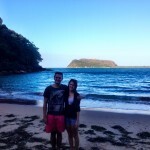 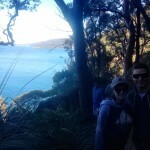 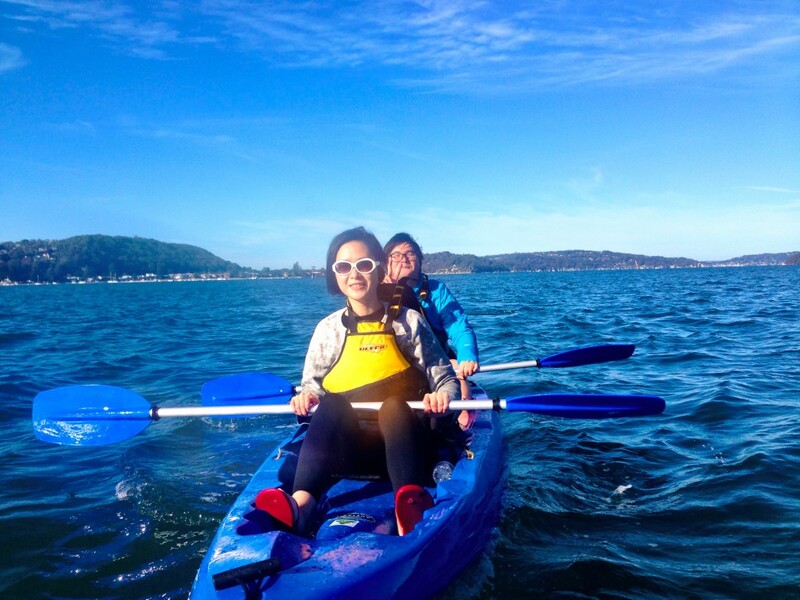 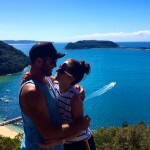 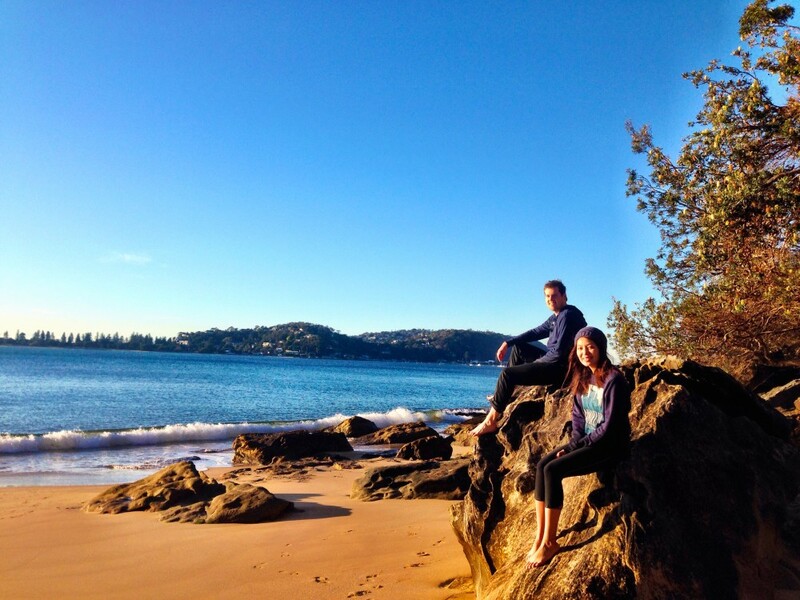 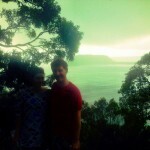 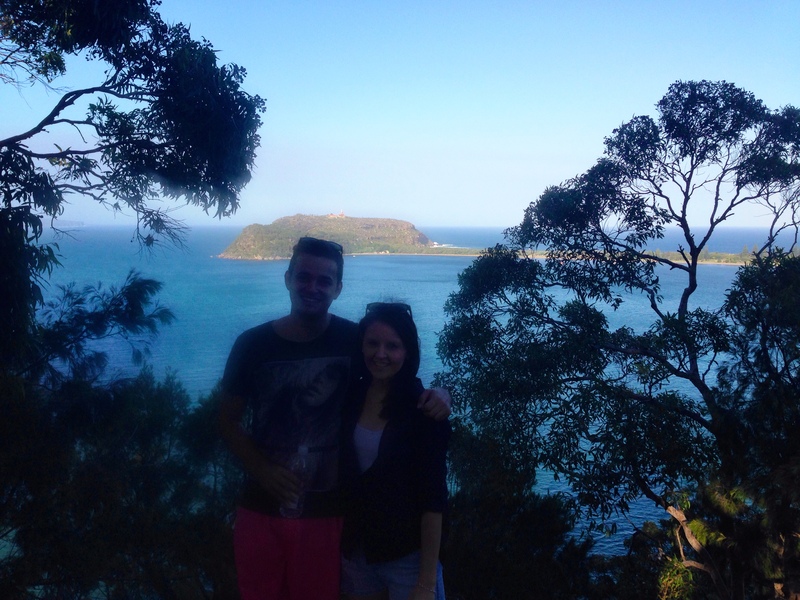 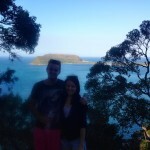 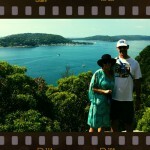 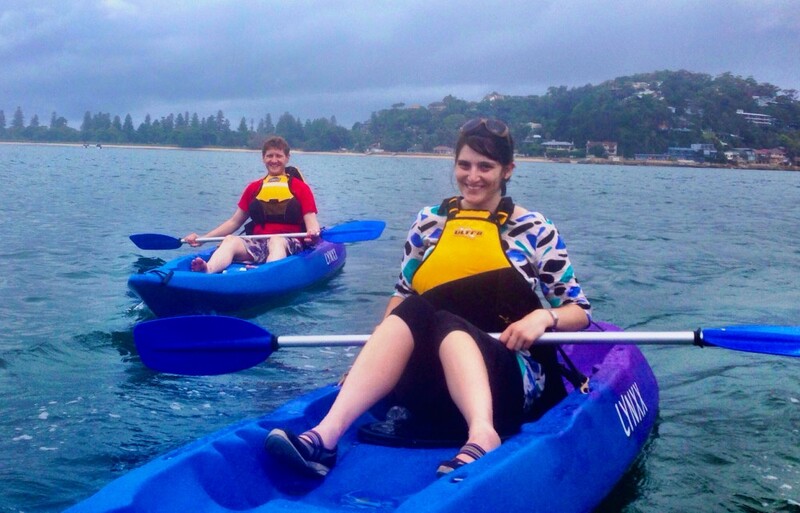 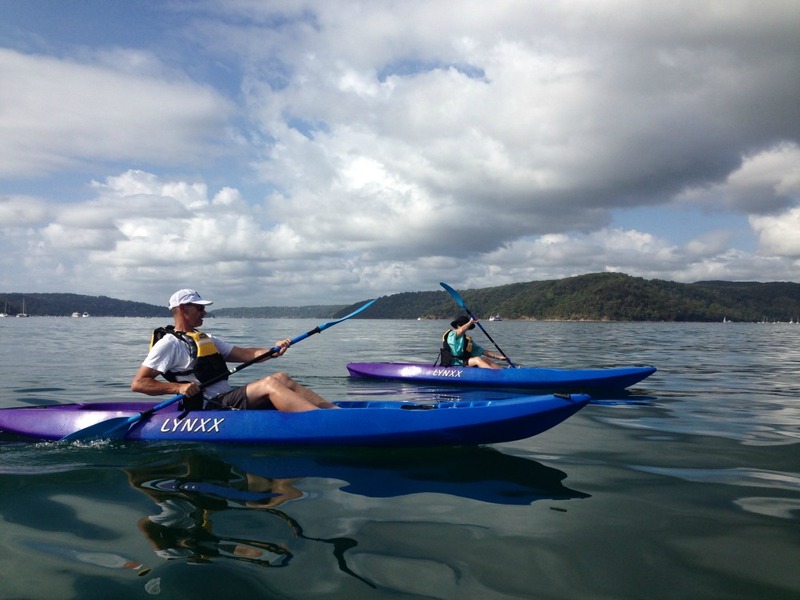 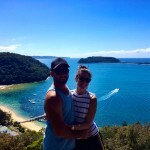 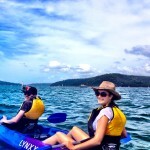 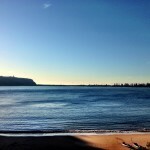 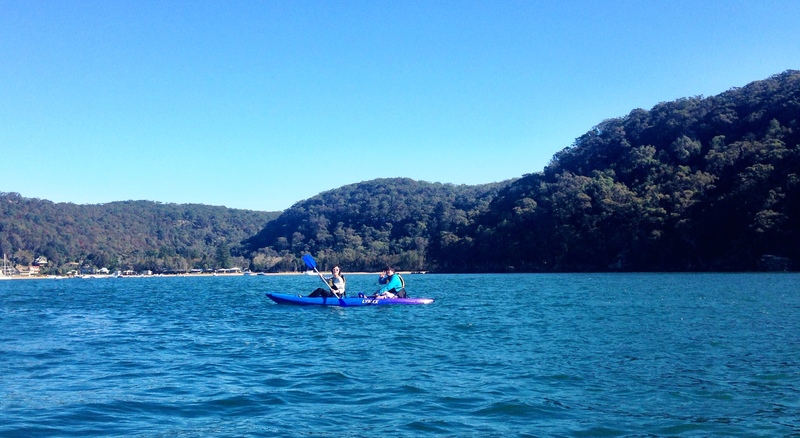 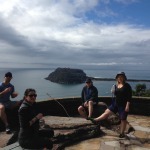 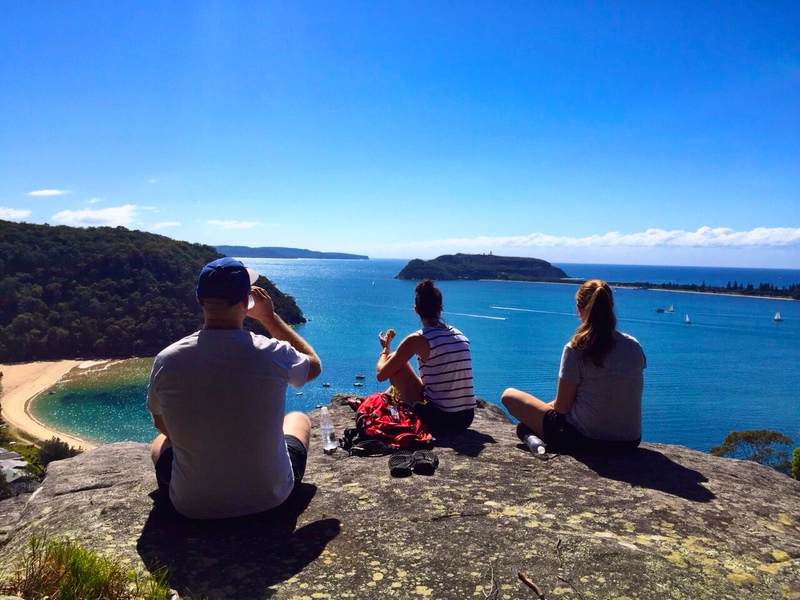 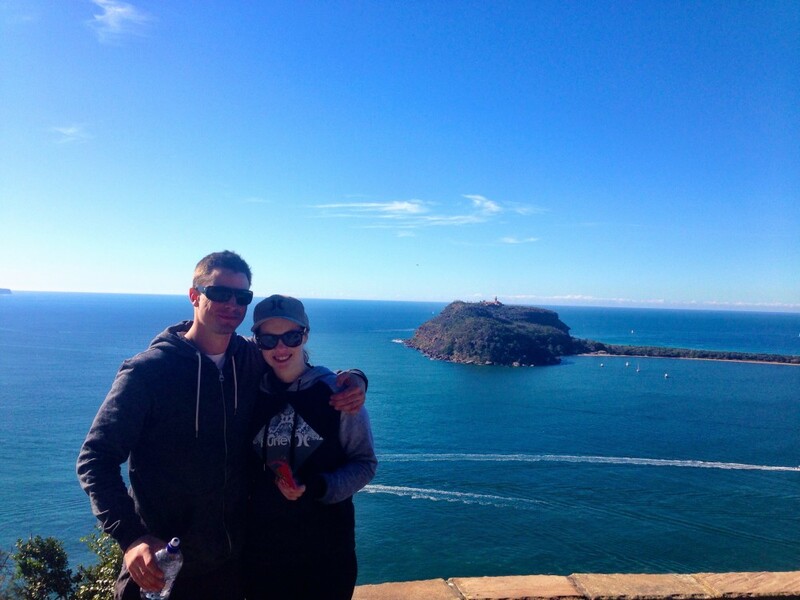 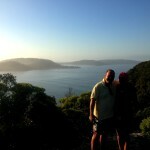 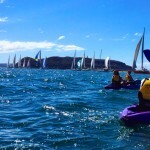 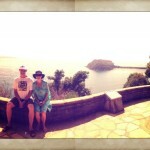 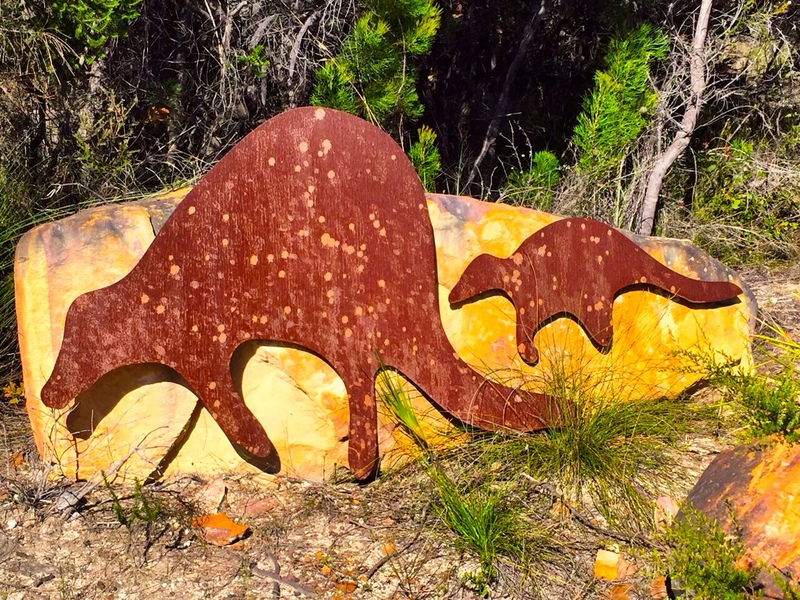 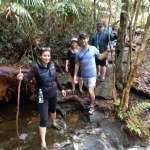 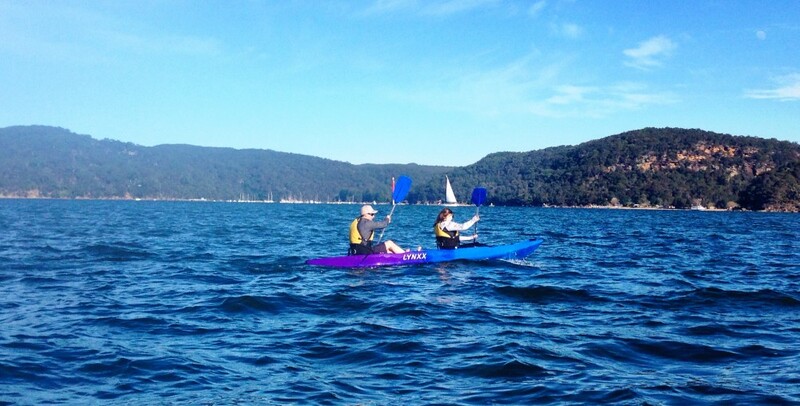 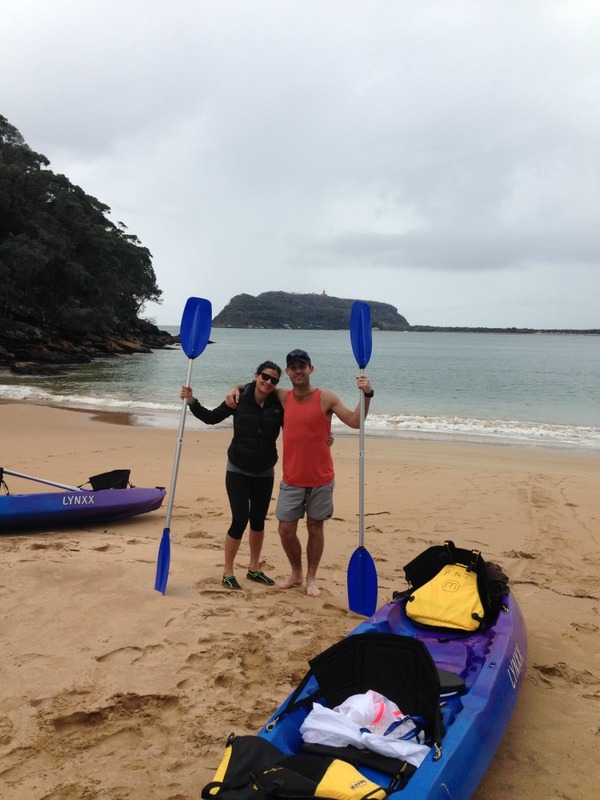 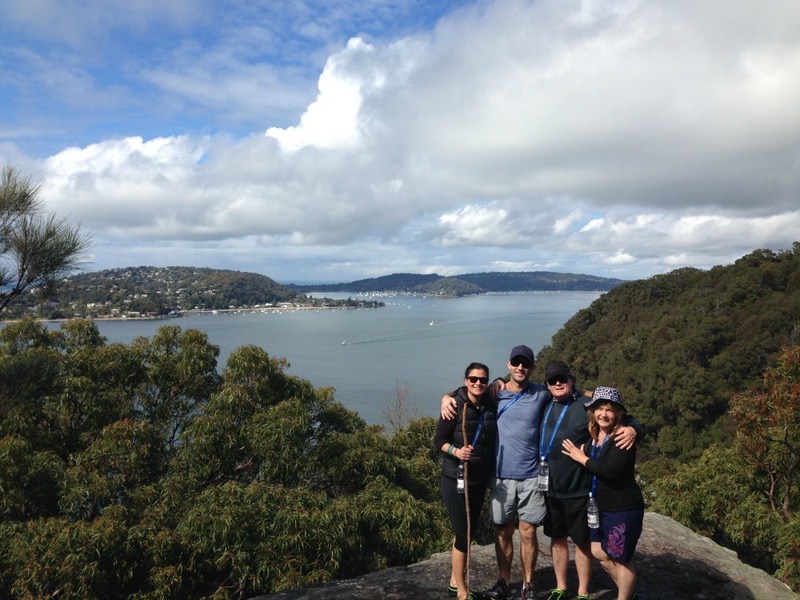 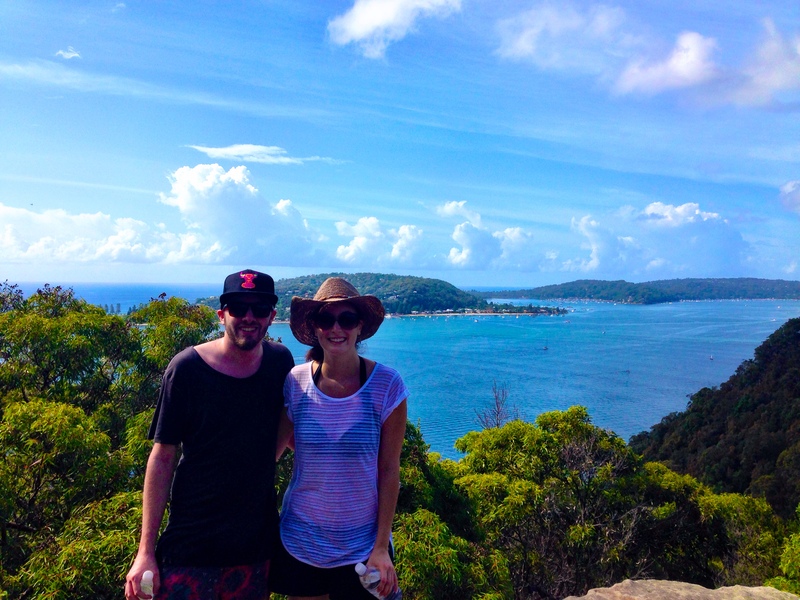 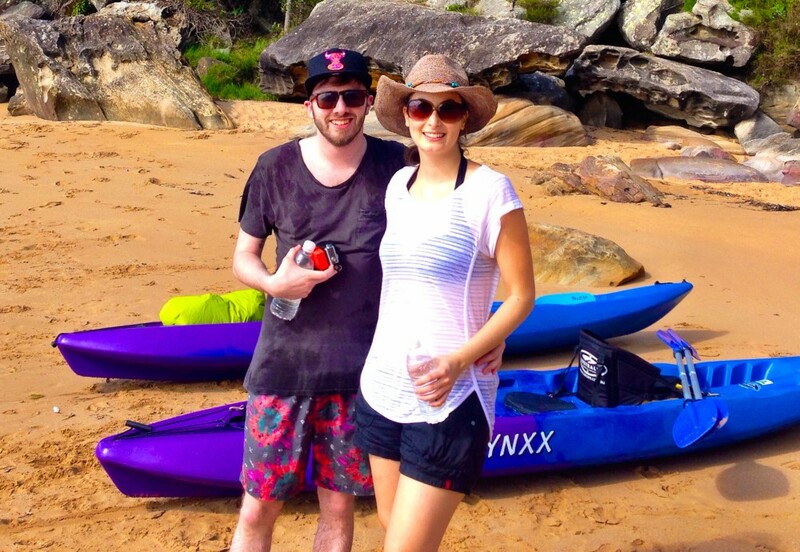 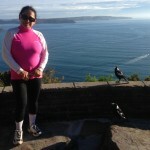 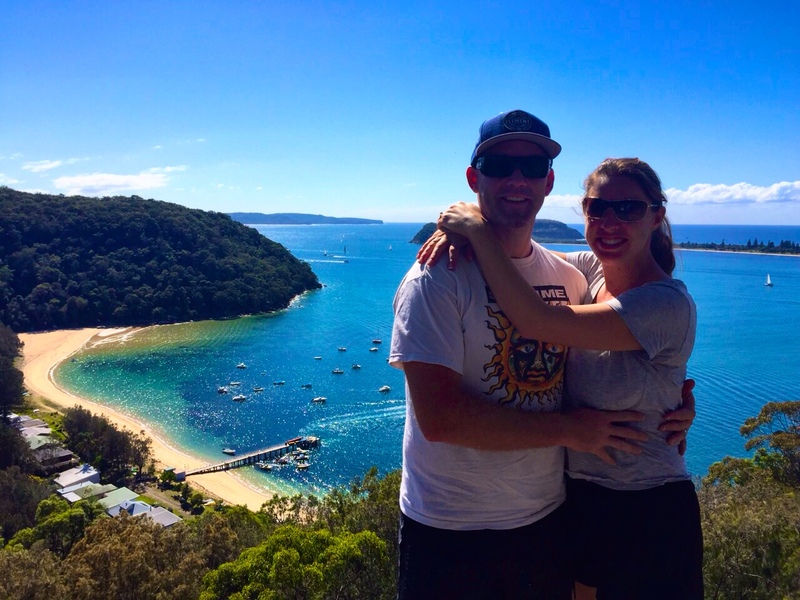 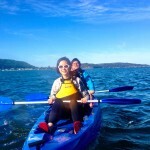 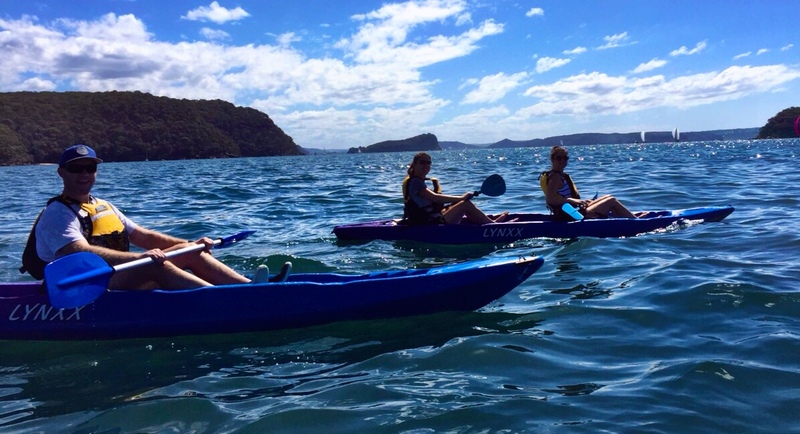 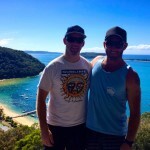 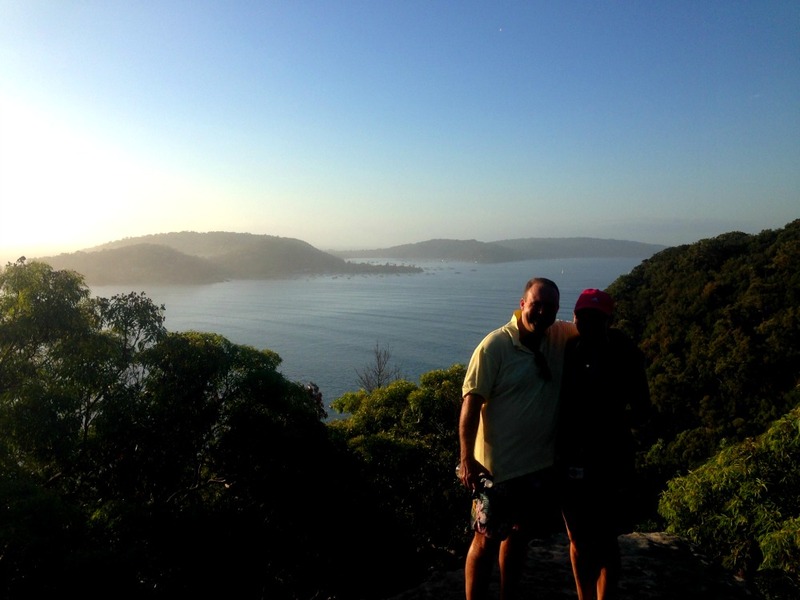 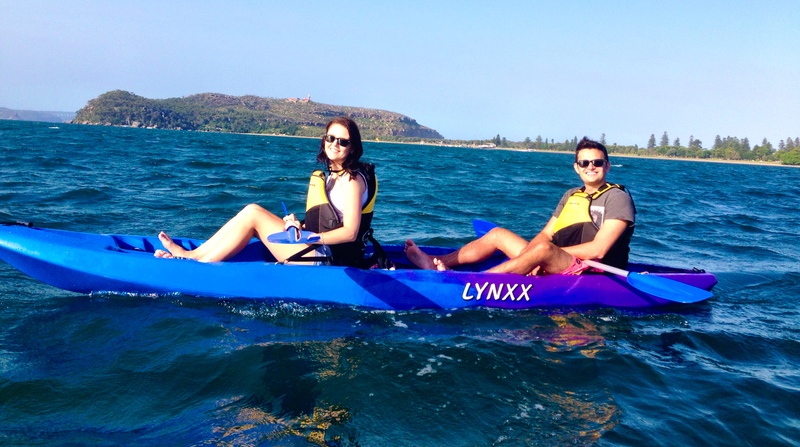 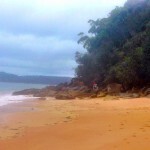 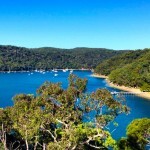 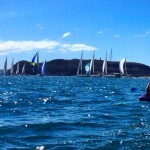 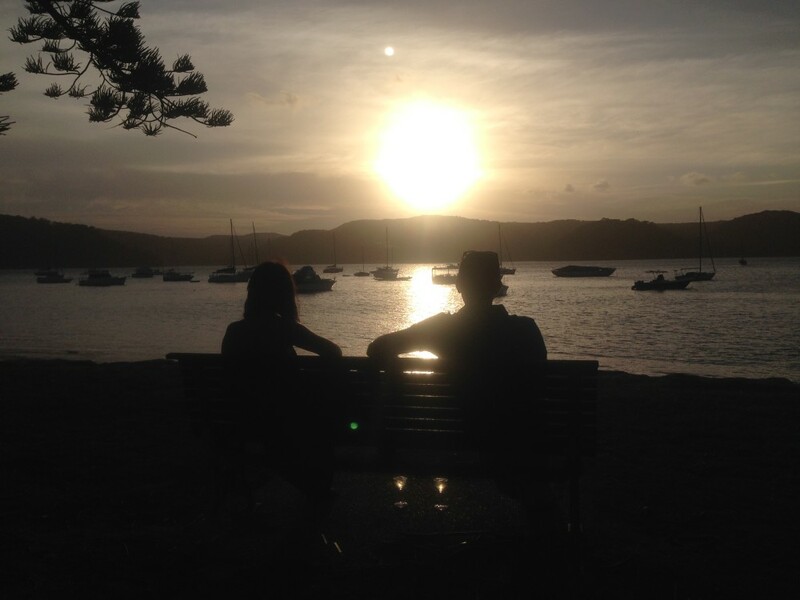 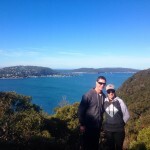 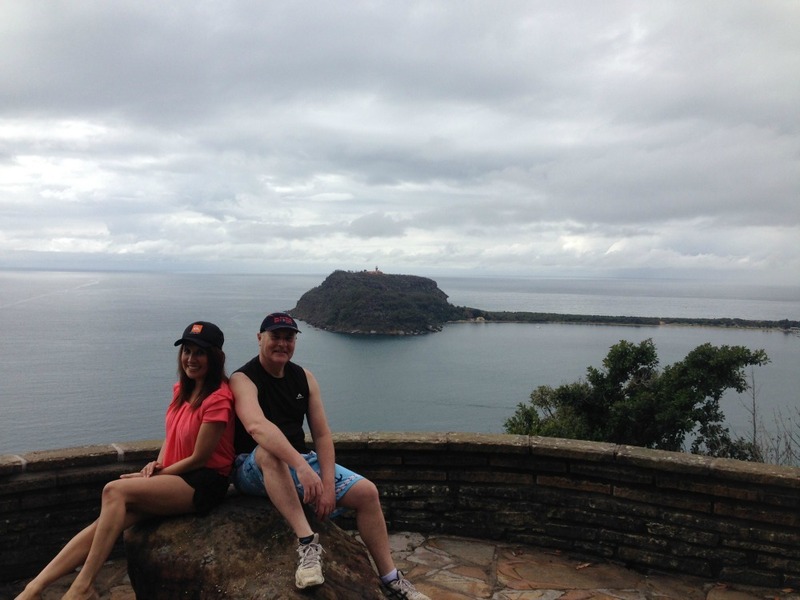 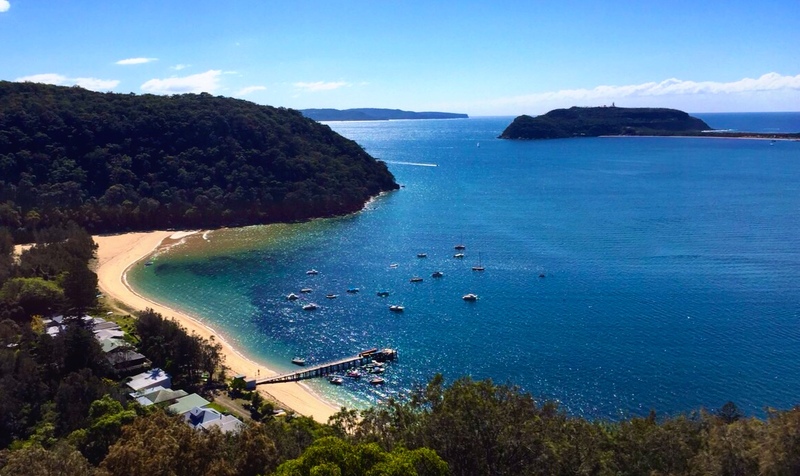 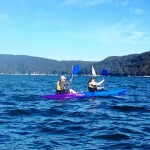 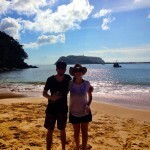 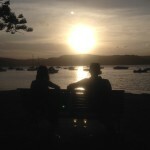 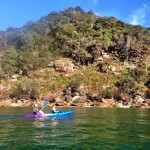 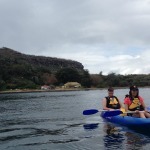 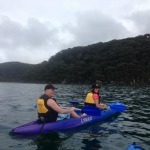 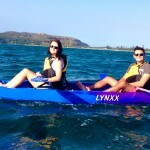 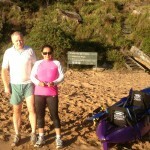 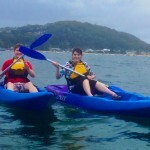 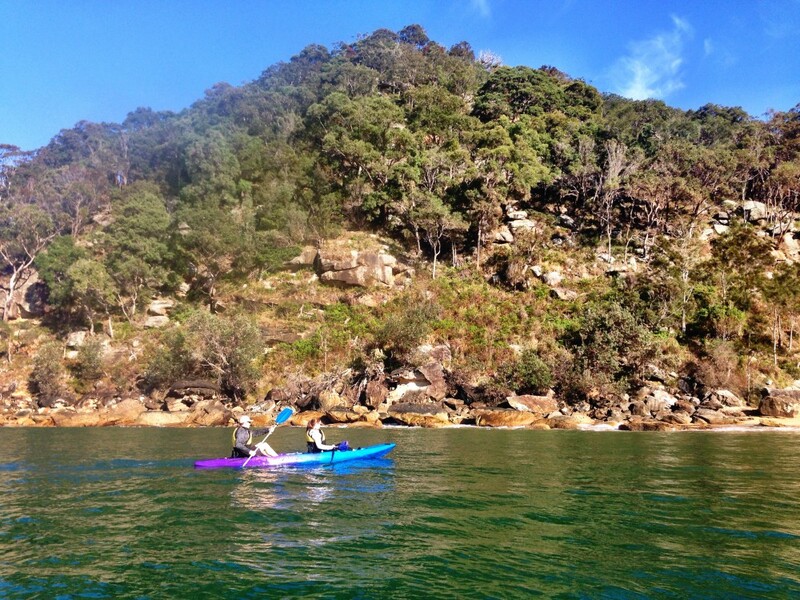 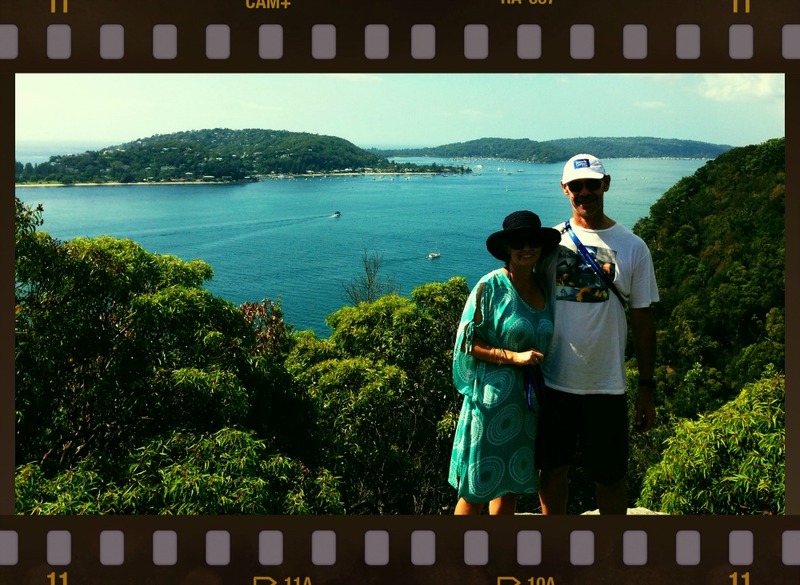 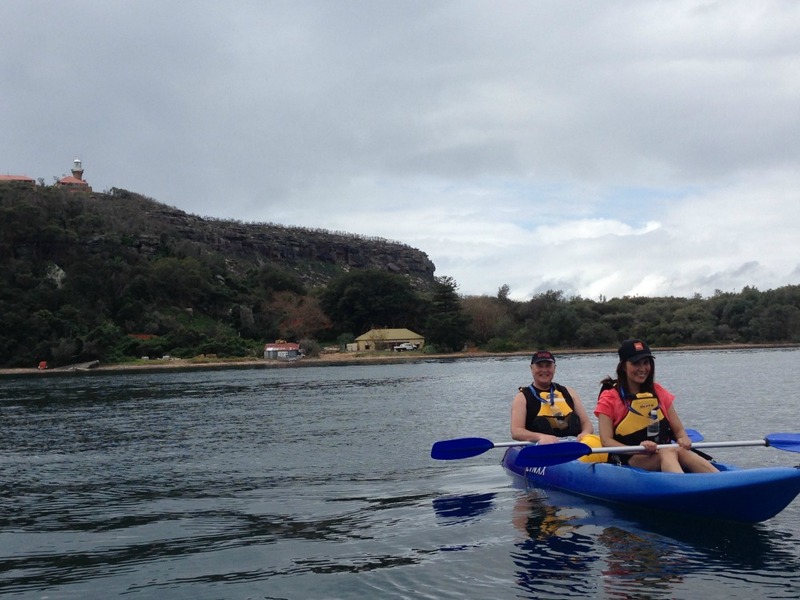 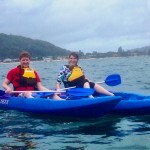 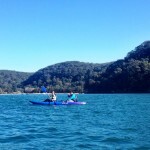 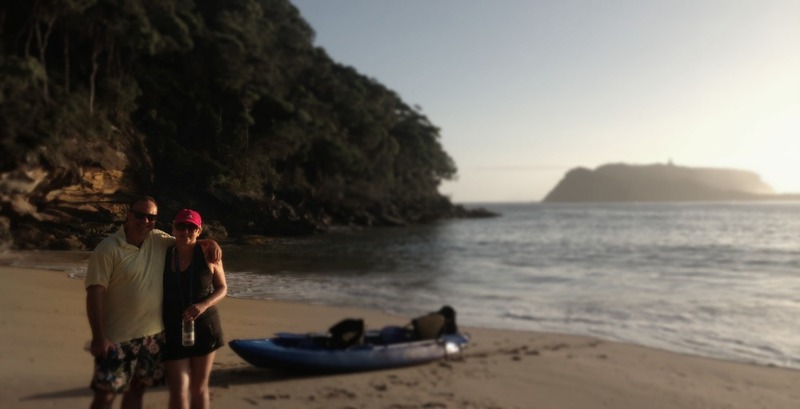 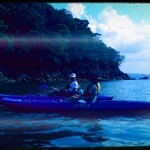 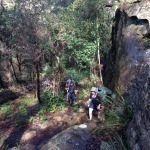 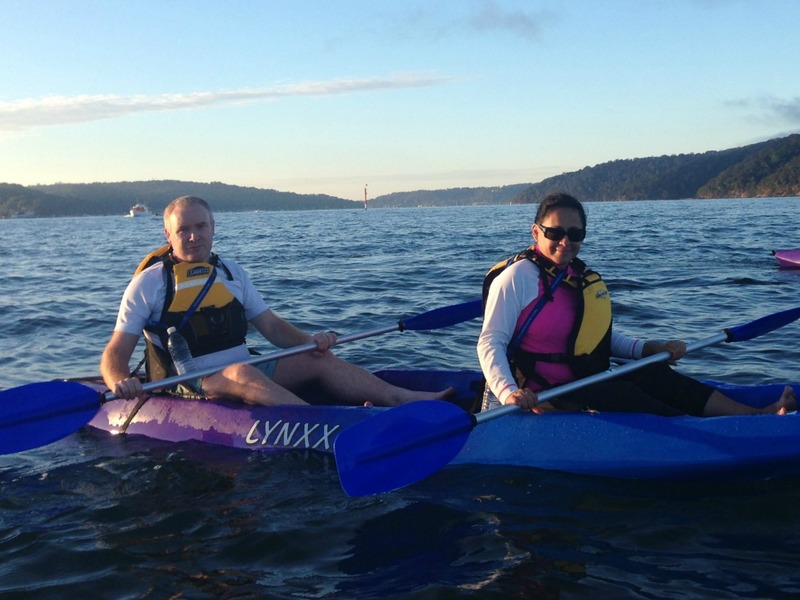 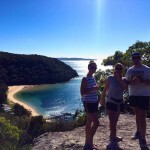 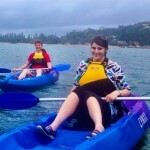 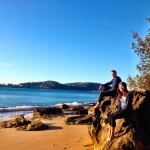 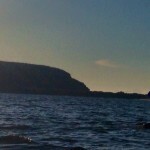 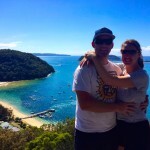 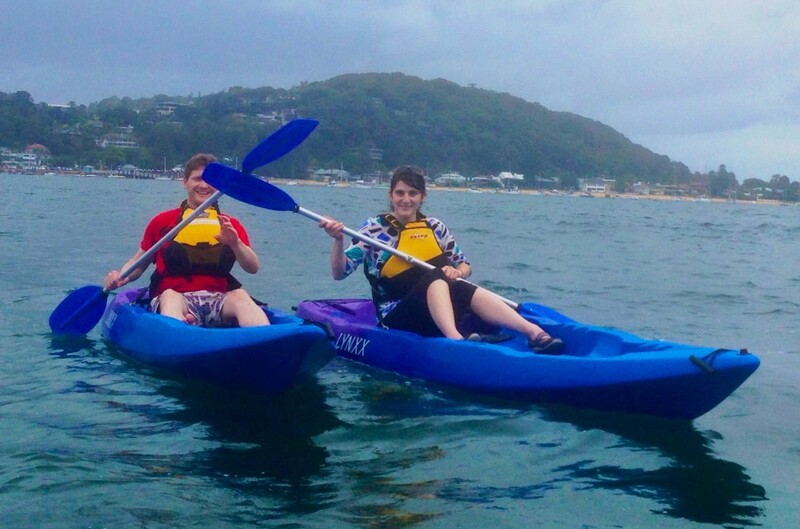 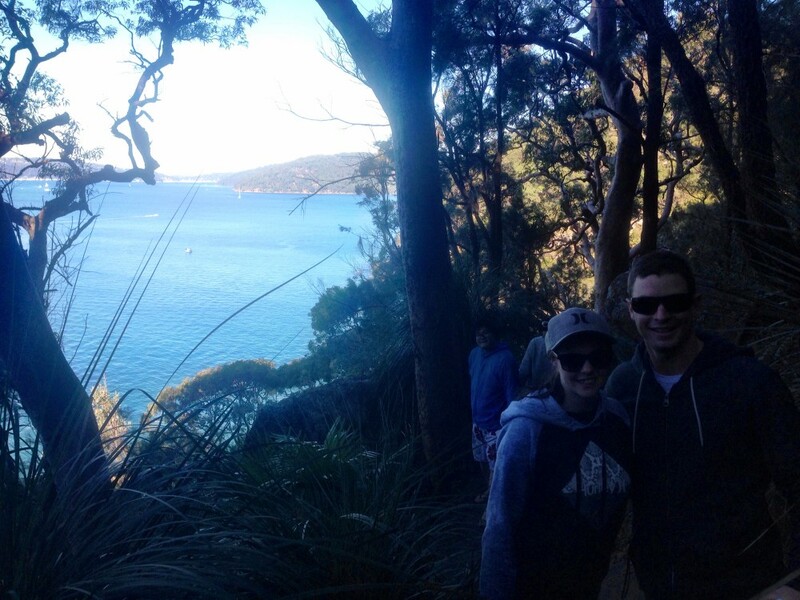 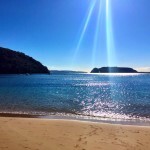 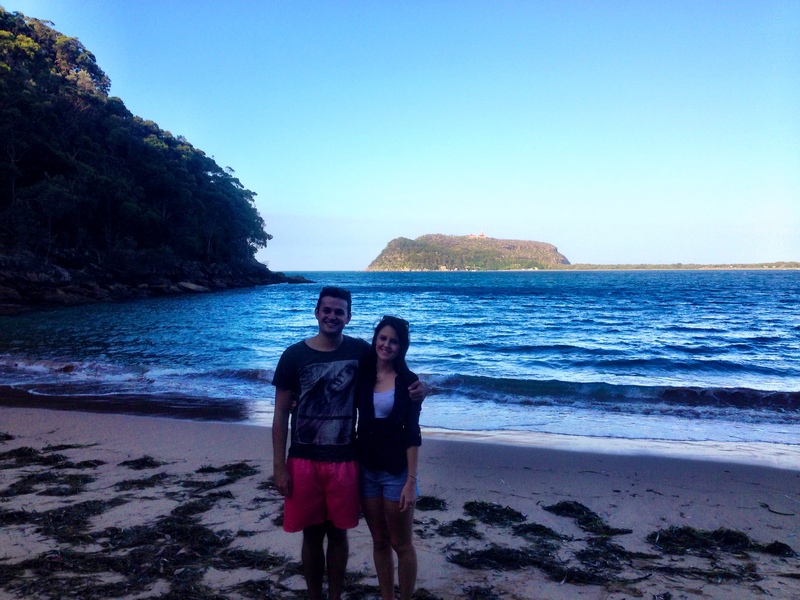 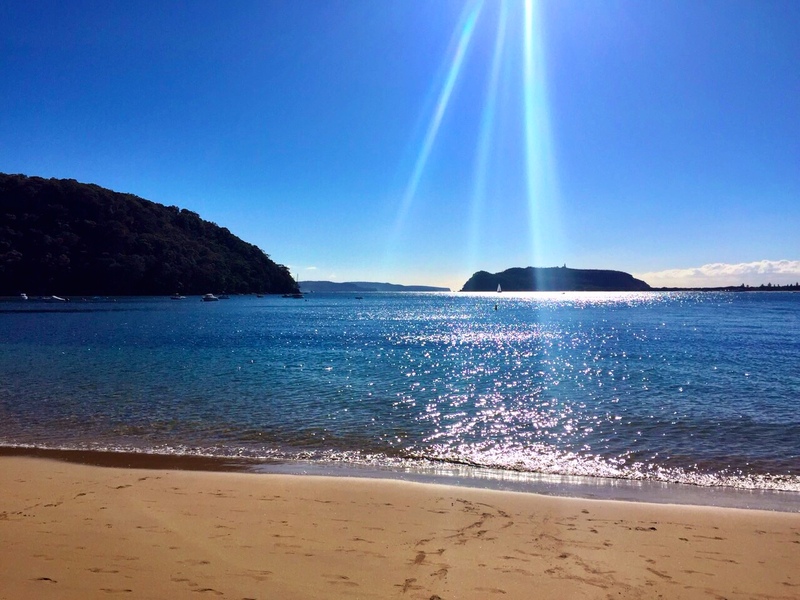 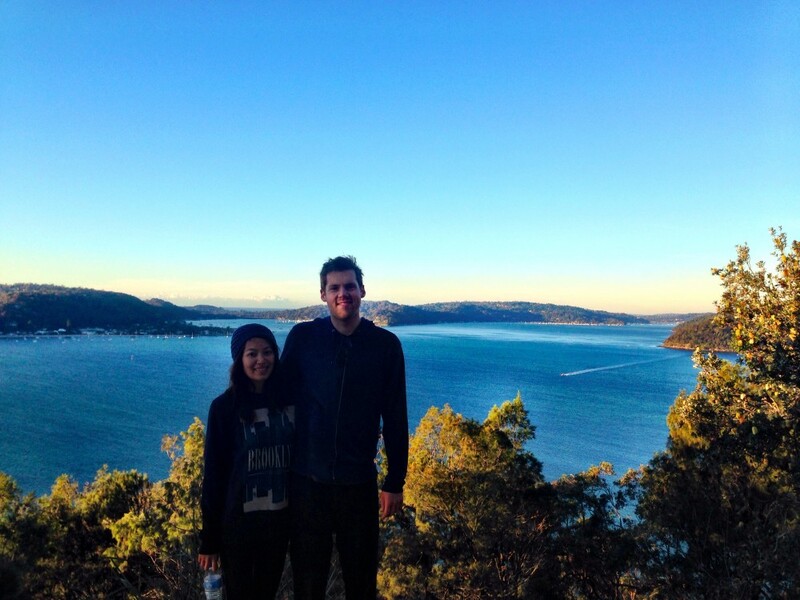 Adam and Mel woke up early to make the trip to Pittwater on the Northern Beaches of Sydney to go for a morning kayak. 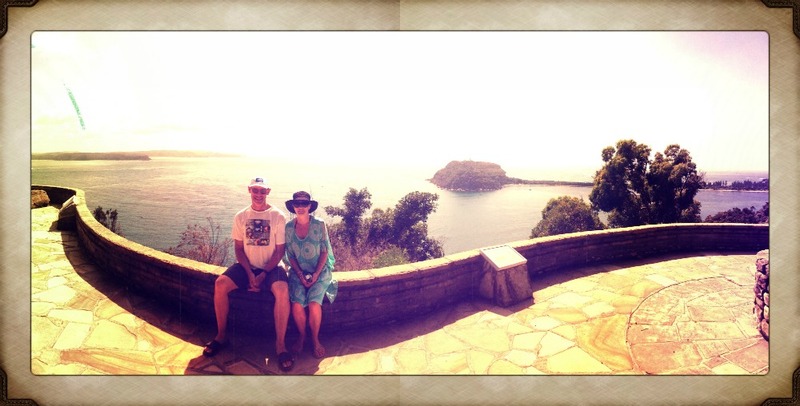 They were rewarded with postcard like conditions. 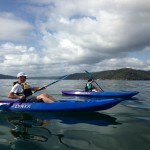 There wasn’t a breath of wind and the water was smooth and glassy. 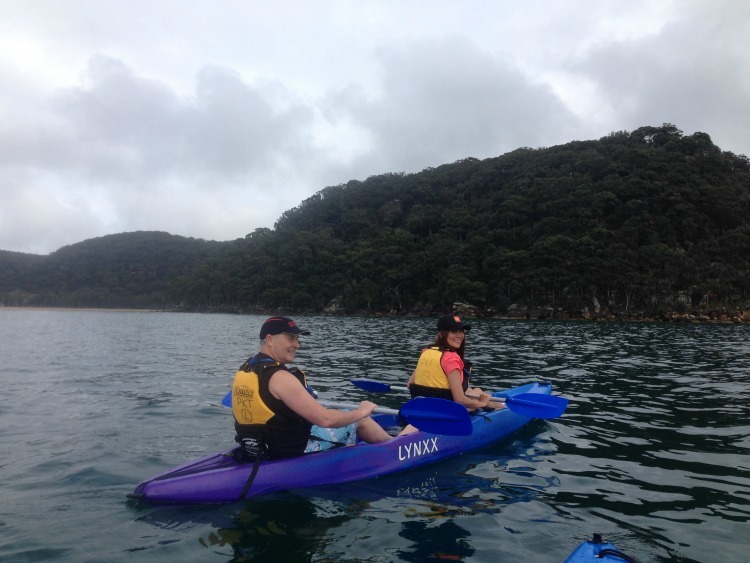 Peter and his partner Jenny came along for a paddle and took advantage of the Father’s Day Special for his Dad Steve and his lovely wife Joy. 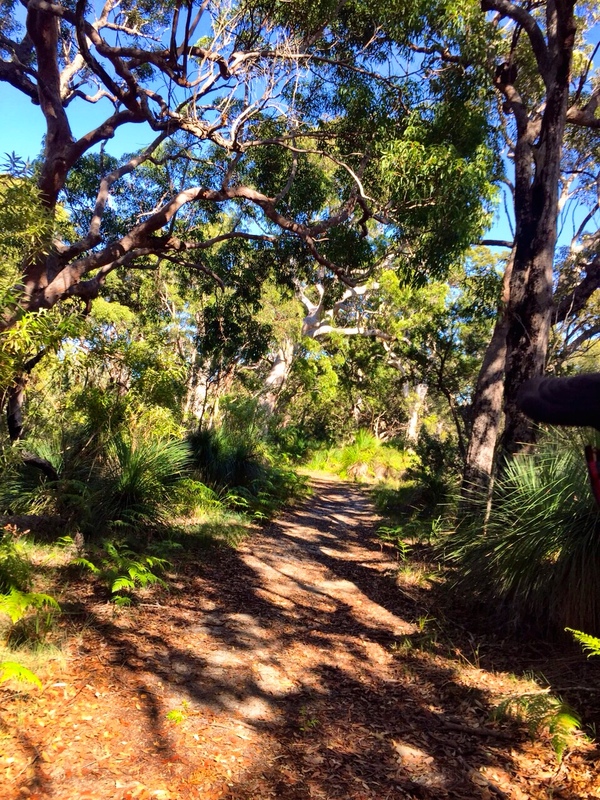 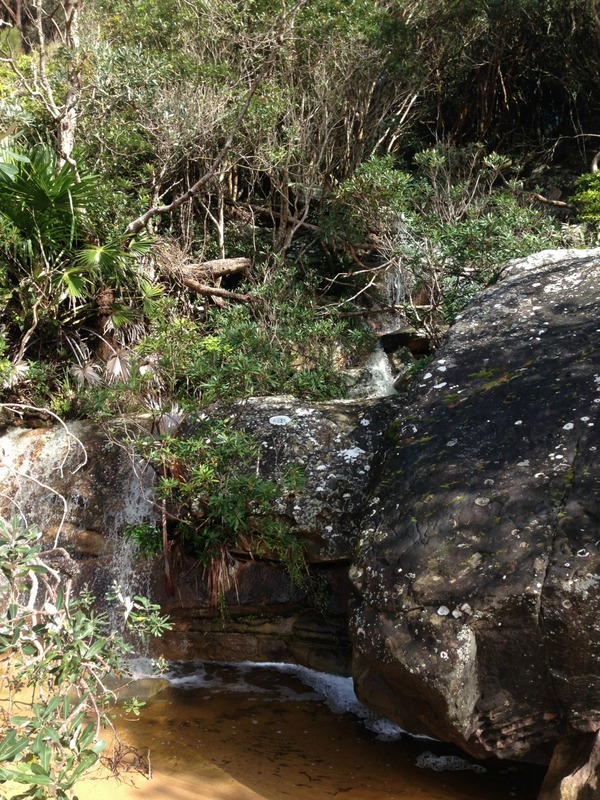 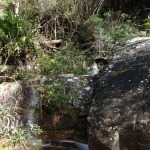 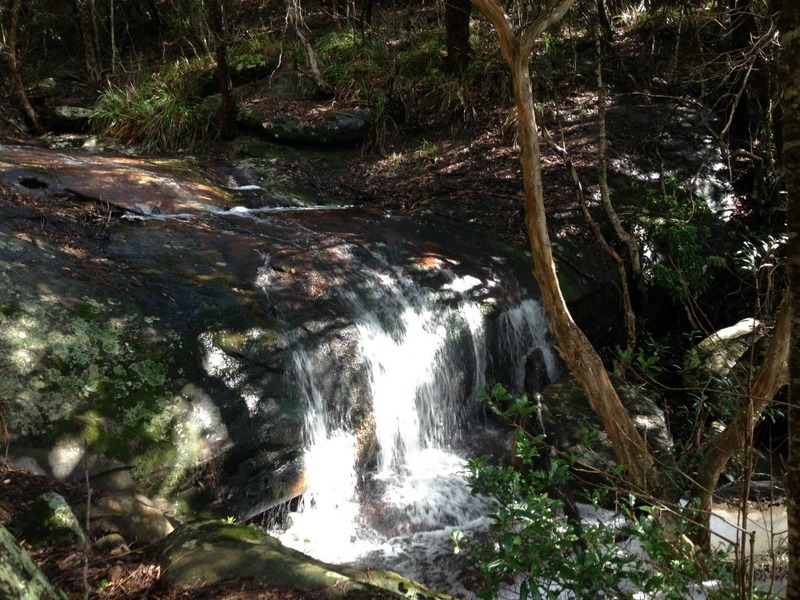 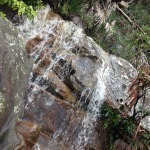 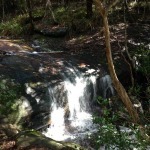 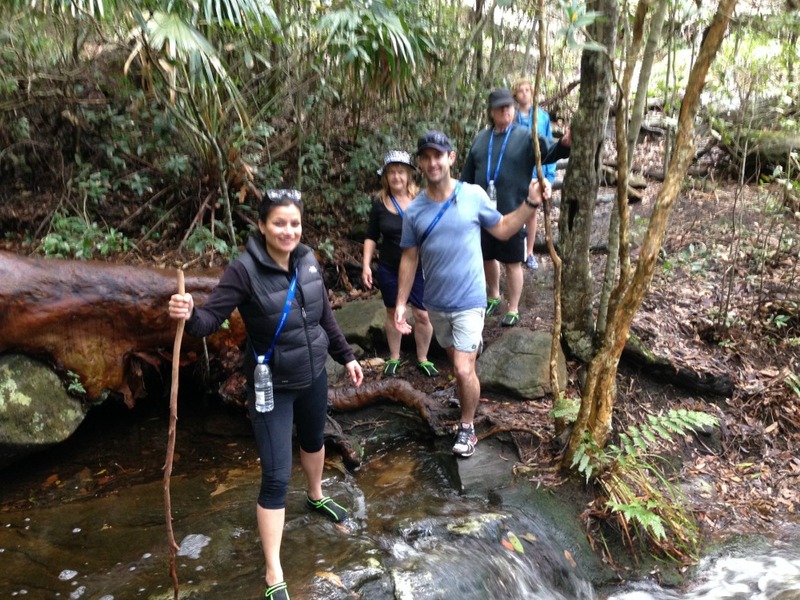 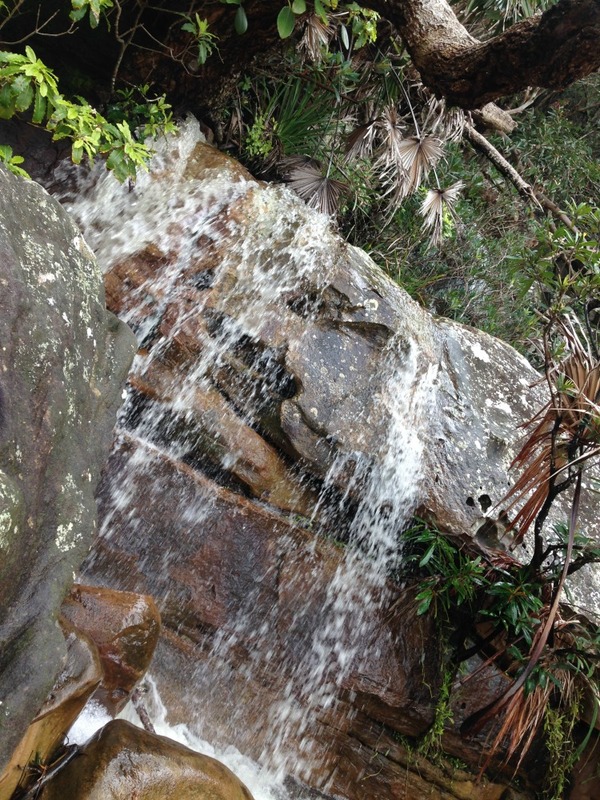 We’d had a lot of rain and there were some beautiful little waterfalls flowing down the side of the West Head all the way to the beach.